On March 3rd, representatives from UC San Diego Center of Community Health attended a meeting with Georgette Gomez, a member of the San Diego City Council. 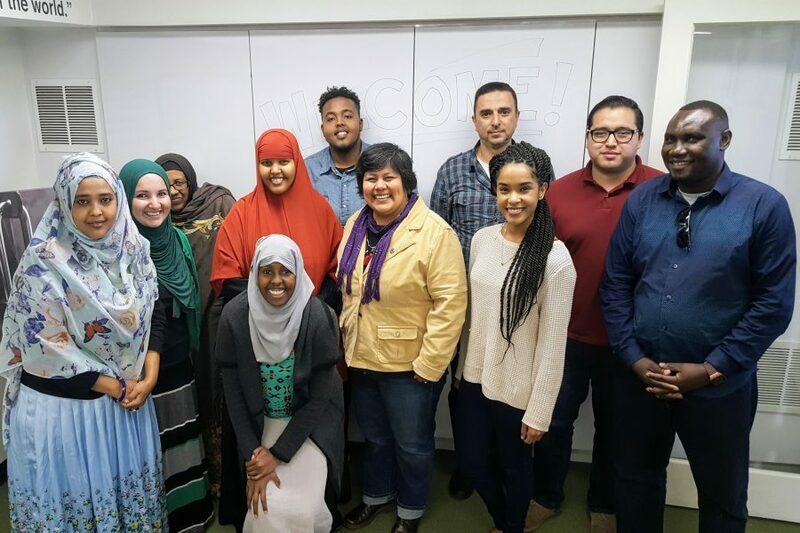 Community organizers from establishments such as United Women of East Africa (UWEAST) and The Partnership for the Advancement of New Americans (PANA) also met with Gomez to address their concerns regarding the refugee community. While enjoying samosas and Somali tea, we discussed our plans to create economic opportunity for minority women, an increase in housing for refugee families and overall improvement of their quality of life. As a San Diego native and the daughter of working-class immigrants, Gomez reassured us that she understands the needs of the refugee community and its level of urgency. She informed us about her dedication to increase economic development in our community and what projects she is working on, including the betterment of infrastructure, improving public safety and making housing more affordable. Overall, it was an honor to see our City Council representative take the time to meet with members of our community and dedicated to see the neighborhoods in District 9 thrive. Previous Article: Food Sampling at Louie’s Market Place!